The United States leads the world in ladder deaths. Each year more than 164,000 people are treated from ladder injuries in the emergency room and more than 300 die from falls from ladders. Most ladder deaths are from falls of 10 feet or less. 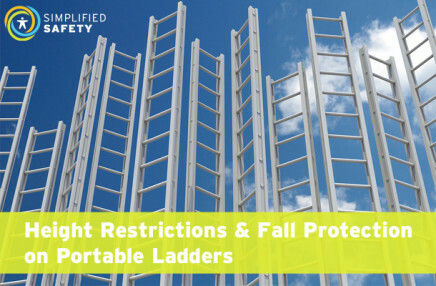 The number of fatalities resulting from falls from ladders has tripled in the past few decades. Now, these are not work-related statistics, these are from all ladder use. The point is, ladders can be dangerous when not used properly and that applies both at work and in the home. So, what is the proper way to use a ladder? When selecting the class of ladder you’ll be using, keep in mind that the weight limit applies to you AND all the material/tools you will have with you. And, where are you using this ladder? Does the area lend itself more to a stepladder because there’s nothing good to lean your extension ladder against? Is the footing solid and level enough? Look for electrical wires in the vicinity. If there are any, avoid aluminum ladders and, regardless of type, keep all ladders at least 10 feet away from energized lines. Once all of this is decided, get your ladder and inspect it. Never take for granted that a ladder is in the condition it is supposed to be in. Ladders get left in all kinds of weather, they get dropped, they get hit, and countless other things. Make sure that there are no dents in the rungs or other damage. Make sure they side rails are not bent or damaged. 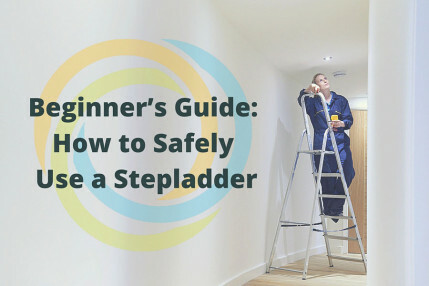 Ensure the safety feet are in place, as well as the ladder’s lanyard. Make sure the locking mechanisms are in place and all labels are legible. Make sure there is no slippery material on the ladder. And, if the ladder has been modified in any way, do not use it. OSHA requires that this inspection be done by a Competent Person, which means they must have the knowledge to recognize a hazard and the authority to correct it. If this is not you, then you must find out who your company’s Competent Person is and ensure they inspect it before use. A quick and easy way to tell if you’ve set the ladder up at (approximately) the correct angle is to stand with the tips of your toes touching the base. If you extend your arm and your fingertips are touching a rung then it’s about where you need it to be. This will help keep the ladder from tipping backwards as you climb it. What kind of surface are you setting up on? See those swiveling feet at the bottom of your ladder? They have a purpose! If you are on a hard, flat surface, those feet should stay flat. The bottom of these feet helps your ladder to stay in place. If you are on a softer surface, you should tip those feet up and dig the tips into the ground to help secure your ladder. Once you’ve established the angle and set the feet, secure the ladder. 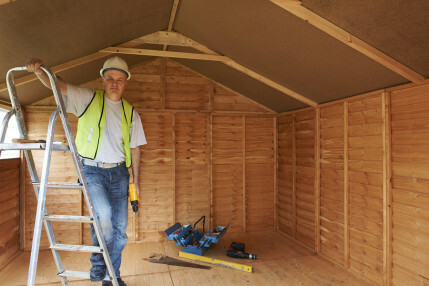 This could require somebody to climb it, so make sure you have a second person or more available to help steady the ladder while this is done. If you’re going to use an off-the shelf product to secure your ladder, make sure that it’s OSHA compliant. Some stabilizers on the market, for instance, are not. It would be a shame to try to do the right thing only to fall short of compliance based on product selection. 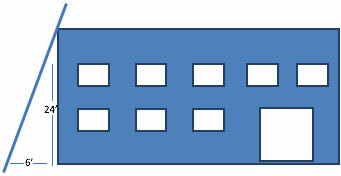 Before you secure the ladder, ensure that it extends three feet above the level you are climbing. If you remember that rungs tend to be a foot apart, it’s easy to ensure your ladder is set up right with just a glance at the top. This three foot rule gives a person descending the ladder from the higher level something to grab on to as they climb on without having to lean over at the edge of the roof. However, this three feet of ladder sometimes poses a problem because people getting onto or off of the ladder at the top have to work their way around the ladder itself. This transition does lend itself to accidents. There are products on the market called ladder extensions that allow the user to step through the top three feet of ladder rather than around. These products attach to the top of the ladder and are basically an extension of the side rails without the rungs. Remember, the point of the three foot rule is to give the user a place to hang onto, so if extending the ladder three feet is not feasible, a three foot high handhold is required. Finally, make sure the area around the base is clear. The last thing you need is to safely climb down the ladder, only to step into a hole or onto some debris and turn your ankle and fall. First, face the ladder. Don’t be fancy. Don’t be distracted. Just grab the ladder with your hands and ascend it while facing it. You should maintain three points of contact with the ladder at all times and your center of gravity should be between the side rails. In order to maintain three points of contact, you will need to keep both feet and a hand on the ladder as you reach up for the next rung or both hands and a foot on the ladder as you step up (don’t be nervous, this is most likely how you already climb a ladder). The key to this, though, is to make sure you are not carrying anything. If you need to bring tools with you, they should be on a tool belt, tool vest, or something similar. Make sure the ladder is locked into place before ascending and always, whether going up or down, check the ladder’s stability before placing your weight on it. Don’t ever move or adjust a ladder while somebody is on it. Too many people get hurt on ladders every year, don’t become one of them.Understand the tool and how it is properly used before you use it. Sometimes the things we take for granted are the most dangerous things. Ladder safety is a serious issue. Although we think the usage of a ladder is a basic part of the work environment, failure to observe some basic safety rules can be dangerous or fatal. 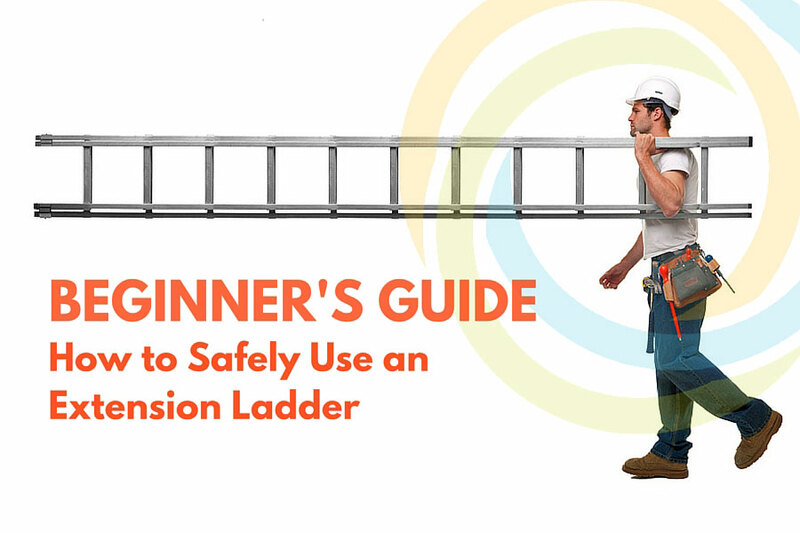 The short presentation below covers a number of important aspects of ladder safety.